Having announced in July that we were embarking on a new Pentland Jaguar Land Rover dealership on Lundie Road in Dundee, a construction team have been busy building our new impressive showroom and workshop which is due to open on 1st October 2018. Expanding our dealership locations across Scotland is important to us. It allows us to offer more flexibility, convenience and choice for all our customers across the north-east and central areas of Scotland, with the added peace of mind that you will receive the same exceptional Pentland customer experience whichever site you choose to visit. Not wishing to give too much away before we open the doors, the new Jaguar garage offers our customers a very spacious facility where they can view new and used models across both Jaguar and Land Rover under one roof. The facility meets the new corporate development standards of the manufacturer and includes a considerable workshop, as well as an impressive consultation lounge which enables customers to configure the car of their dreams. The dealership is built on 2.4 acres and offers extensive outside display for used vehicles and ample customer parking. 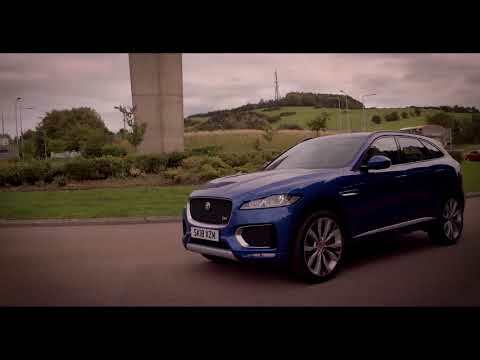 The New Dundee Jaguar showroom will showcase our competitive Jaguar New Car Offers, including the excellent Jaguar XE and Jaguar XF offers and we will have the new Jaguar I-PACE available to test drive.